We’ve been tailgated many times because of our Florida license plate on this rental car (I’m in Ohio right now). 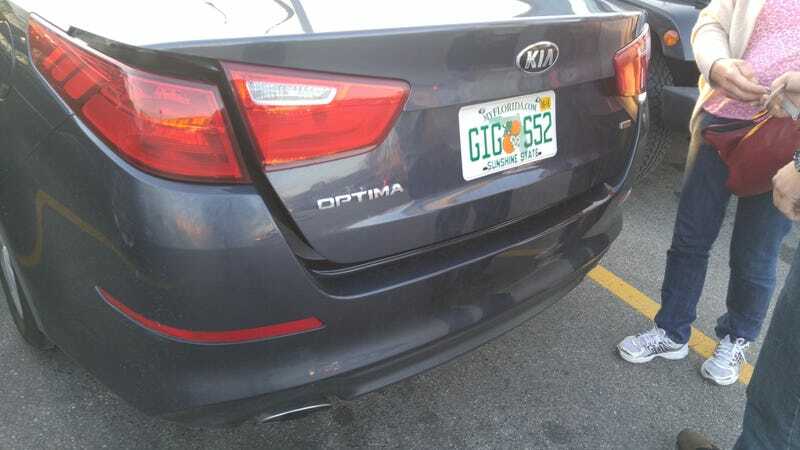 And this optima’s transmission has been already prehooned to death! When engaging in reverse, I feel the torque converter/transmission slipping!